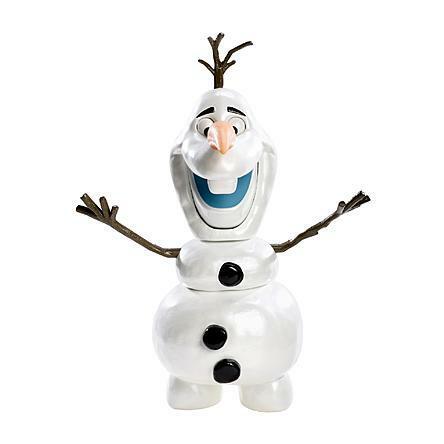 Disney Frozen Olaf the Snowman Just $4.04 Down From $16.99 At Sears! You are here: Home / Great Deals / Disney Frozen Olaf the Snowman Just $4.04 Down From $16.99 At Sears! Sears has this fun Disney Frozen Olaf the Snowman on sale for $4.04 (Reg. $16.99)! Sprung from Elsa’s magical powers, Olaf is by far the friendliest snowman to walk the mountains above Arendelle. Now, you can bring him to “life” just as Elsa did in the Disney Film Frozen with this adorable snowman figure. Bring Olaf the snowman to “life” – just like Elsa does in Disney’s Frozen – with this delightful figure! Press his tree branch hair to change his facial expression. His head pops off and arms come out to fall apart so you can put him back together again! Rearrange his parts to build your own snowman.